Nothing beats chatting face to face! We love connecting with clients; it is pretty incredible how fast you get to know each other during the home buying or selling process. Relationships are so important in real estate, and we build our team with care. We love working closely with you to make sure your home purchase aligns your lifestyle and furture plans. Let's Get Started on Your Home Goals! Charlotte was an incredible help in my search for my first Vancouver property. Being from out of province, she worked incredibly hard touring properties for me and putting in the extra leg work I could not do in person. Being buyers from another country, it is important that one finds a realtor who is efficient, thorough, and knowledgeable. I had the pleasure of working with Charlotte on the purchase of my first home. Throughout the whole process she has truly exceeded my expectations. Charlotte is knowledgeable, extremely thorough and goes the extra mile to ensure that all of your questions are answered and your needs met. Charlotte has been an a amazing realtor for us - as first time home buyers we were very nervous and at times easily confused, but Charlotte was always on hand to offer advice and help out. It's a rarity these days in any industry to do business with someone who is extremely passionate, competent, and dedicated to their particular line of work. Charlotte exemplified all of these traits during my recent purchase of a condo in downtown Vancouver and I couldn't be happier with the service she provided. Charlotte is by far the most concerned real estate agent I have ever met and dealt with in the selling of my property. Concerns were looked after and her knowledge of the area great. 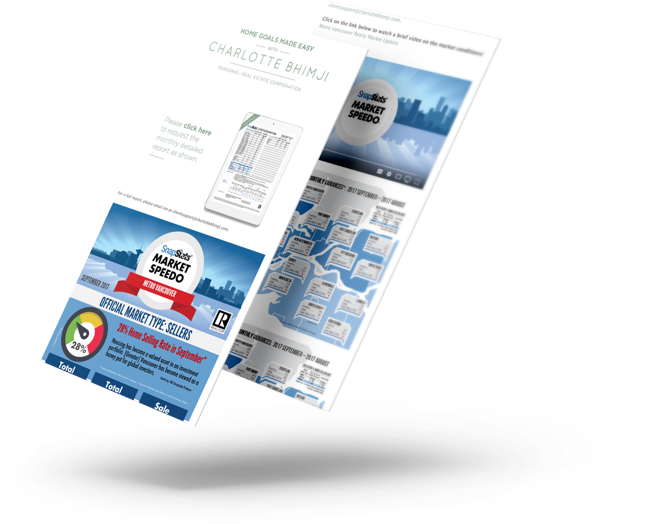 Charlotte Bhimji has made my recent purchase of a family condo a thoroughly wonderful experience. She is completely organized and so diligent of every detail and has provided me with instant response to all my inquiries right from the first one, walking me through all the steps of purchase with great ease. It has been an amazing experience to work with Charlotte. She has been very helpful and informative since day one, thus, making our first home purchase painless & seamless. What a find! Charlotte Bhimji that is and the condo is great as well! Finding any downtown Vancouver condo unit is this market is a tough go. Charlotte was by my side every time I needed her for a good month. Charlotte, I can't thank you enough for everything you have done for me! You have managed to make buying my first home a stress-free and enjoyable process through and through. I strive to have your patience and organizational skills. Charlotte was extremely friendly and informative with our new home search. She gave us a lot of her time and went above and beyond my expectations from a realtor. We made the right decision going with her. Get exclusive real estate updates! Not all real estate newsletters are created equal.